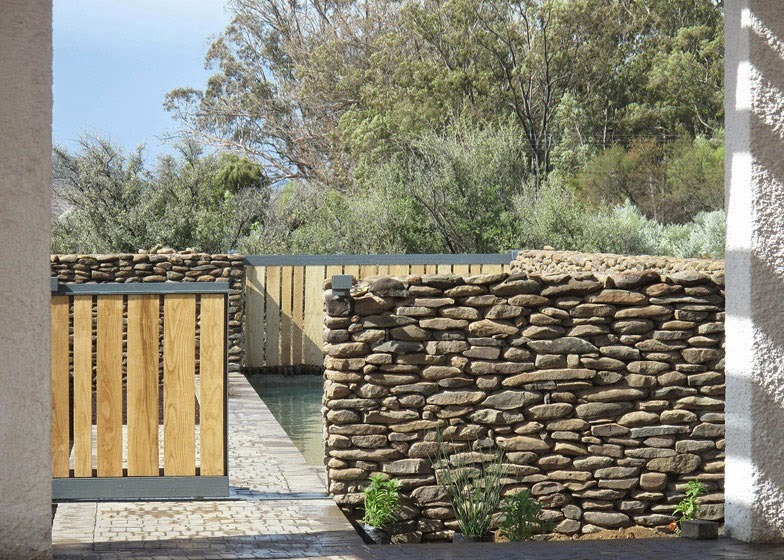 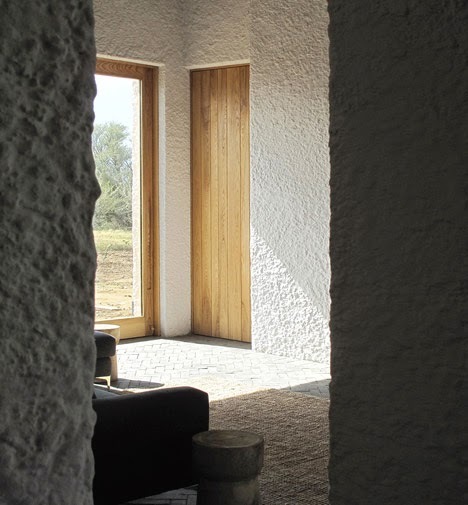 London-based Openstudio Architects designed this desert house on the edge of the Great Karoo in South Africa as a holiday home for a couple with a young child. 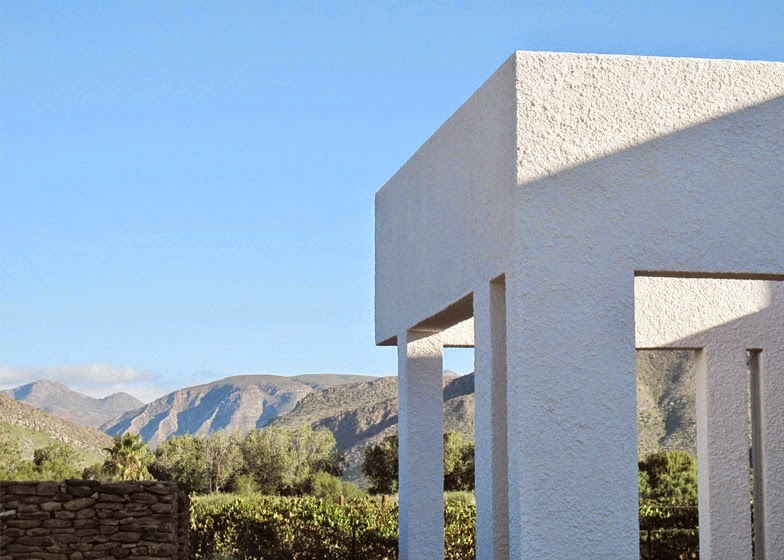 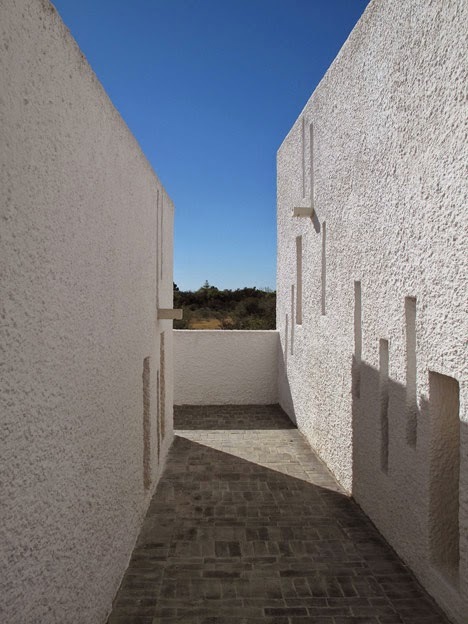 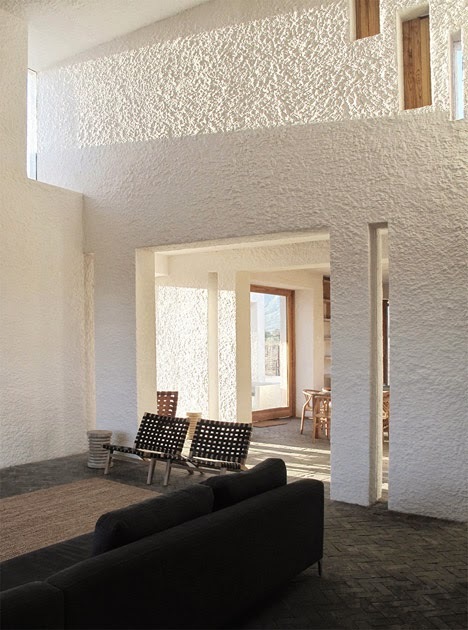 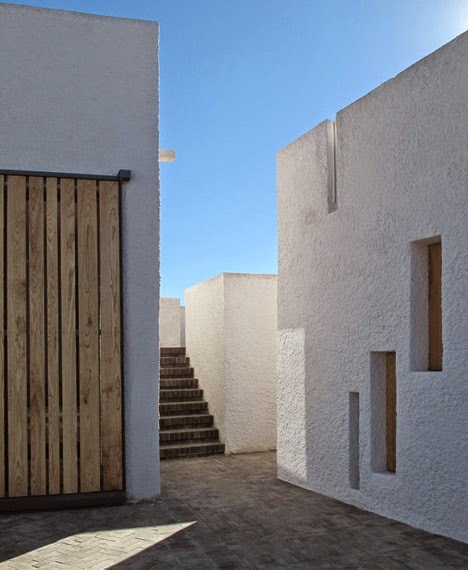 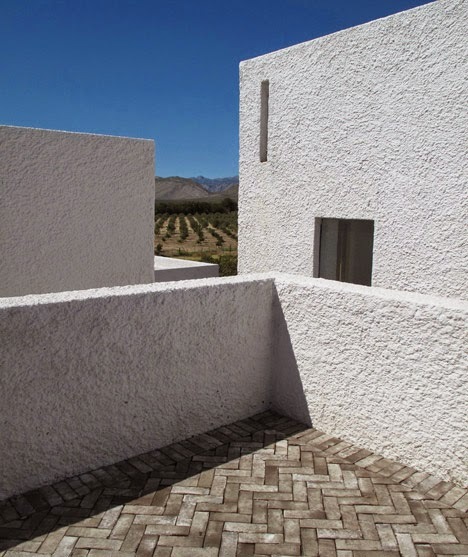 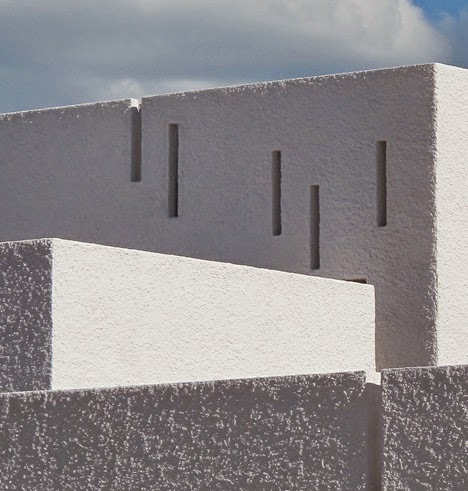 The simplicity of the cubic, rough plastered volumes that form the house creates a subtle dialogue with the unique characteristics of the desert landscape. 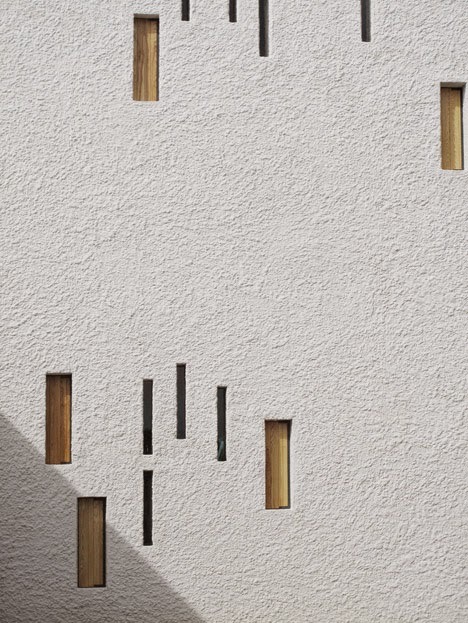 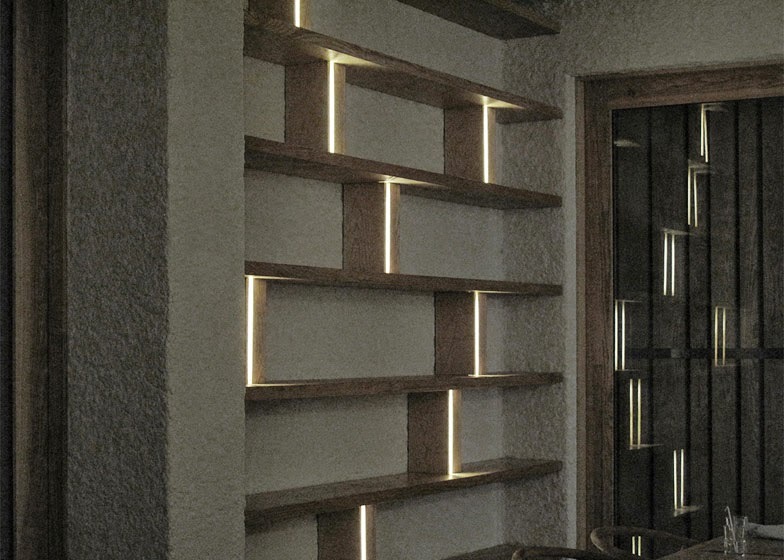 Slot windows are arranged on the walls, in patterns inspired by constellations, bringing light in during daytime, while offering views of the stars at night. 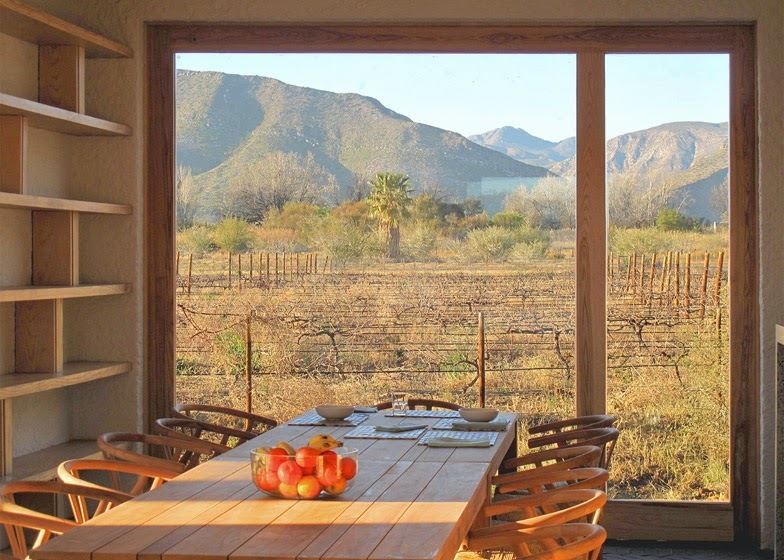 Larger windows provide ventilation and reveal views of the surrounding mountains. 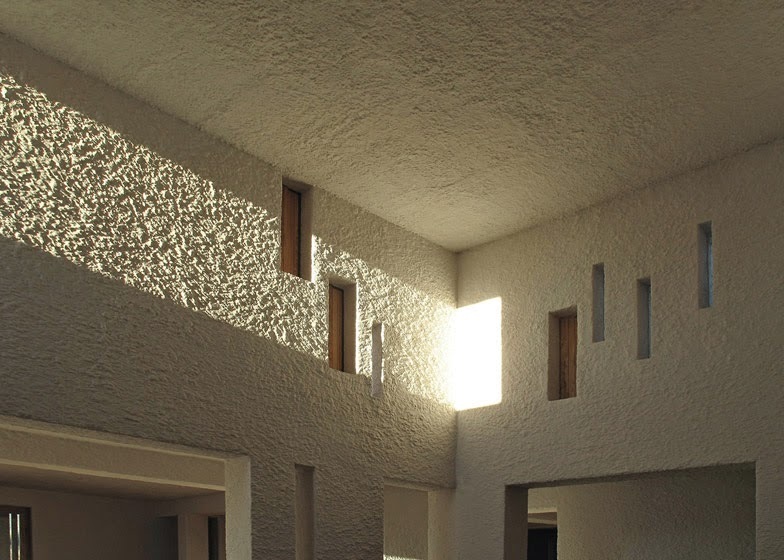 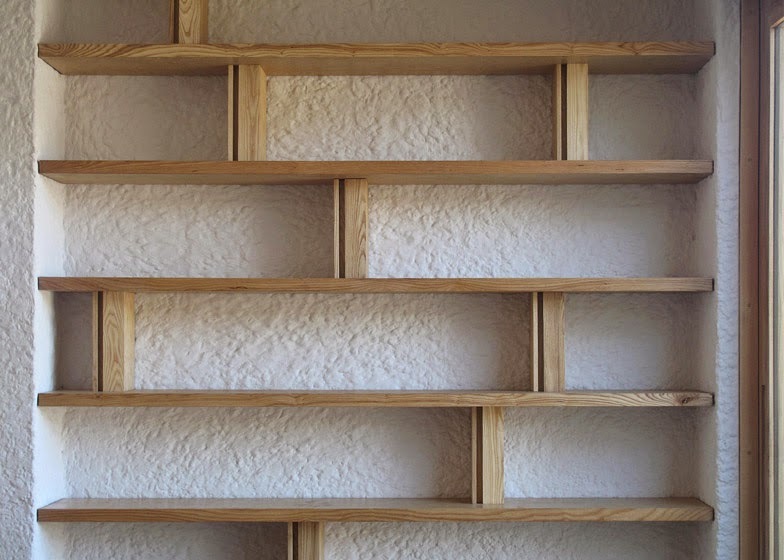 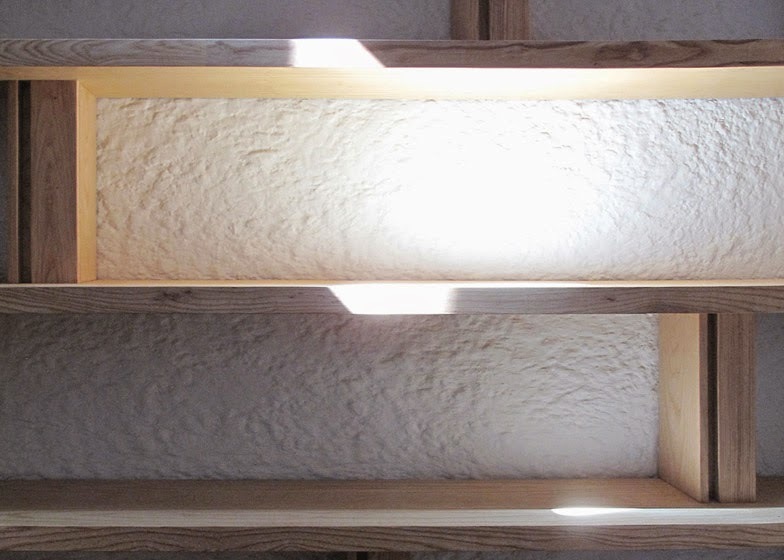 The house responds to its specific place and climate, according to passive solar principles. 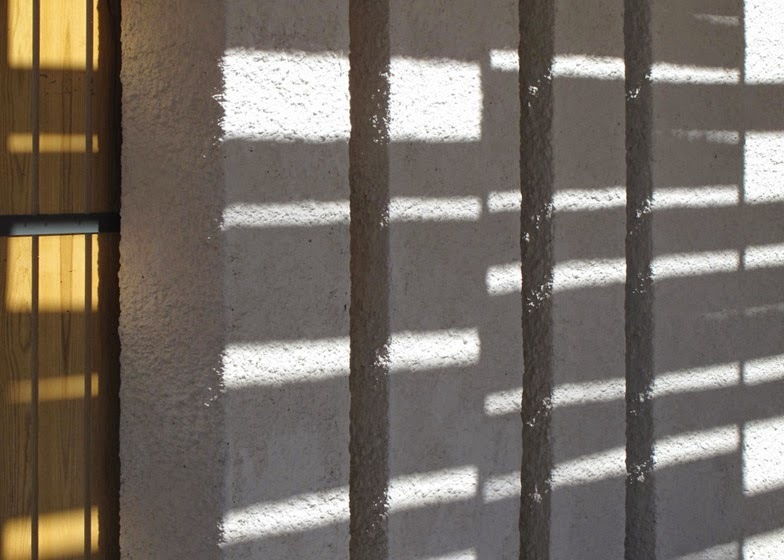 In the light and heat of summer the house can be shuttered, while in winter the large openings act as suncatchers. 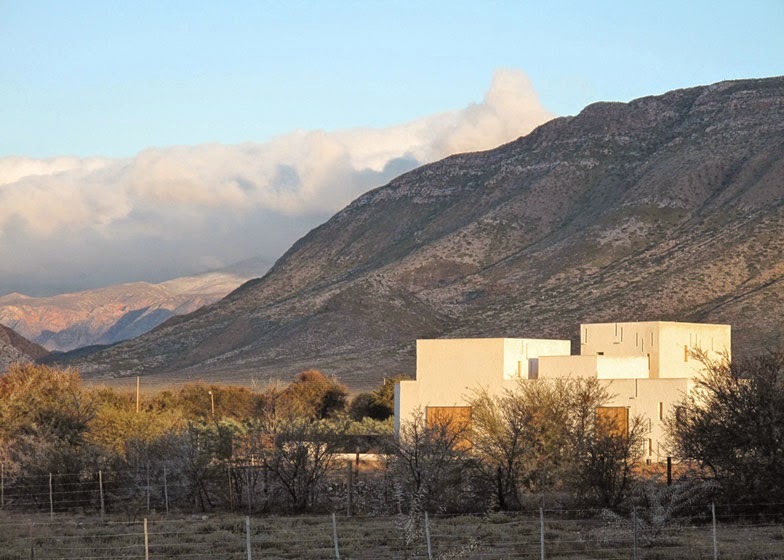 The desert house on the edge of the Great Karoo in South Africa meets the mountain and sky with an uneven profile that suggests its inherent flexibility. 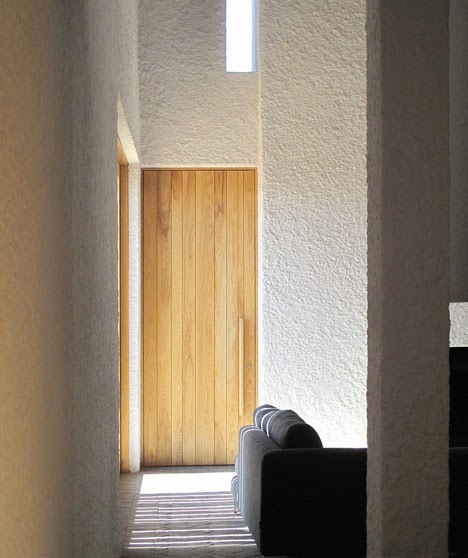 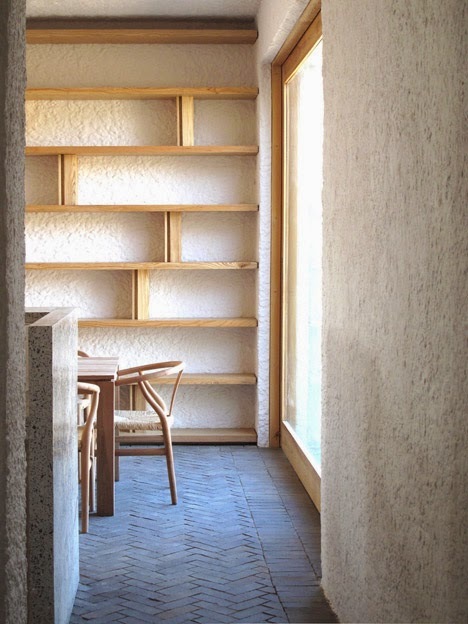 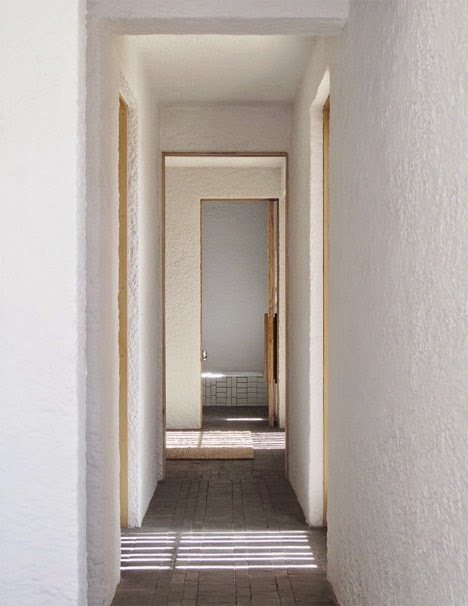 Internal spaces are differentiated by views and volume and allow heat to dissipate and wind to cool the house. 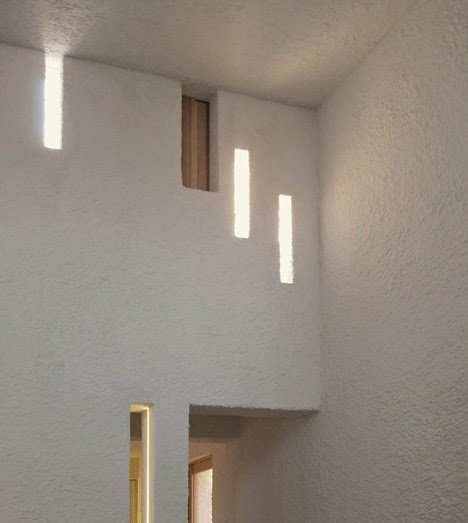 The day/night, light/dark character of the house is emphasized by the large glazed doors, which slide into rough-cast plaster walls, and small scattered openings, which allow shafts of light to penetrate into shadows, and follow the positions of stars in constellations visible from the upper roof terraces. 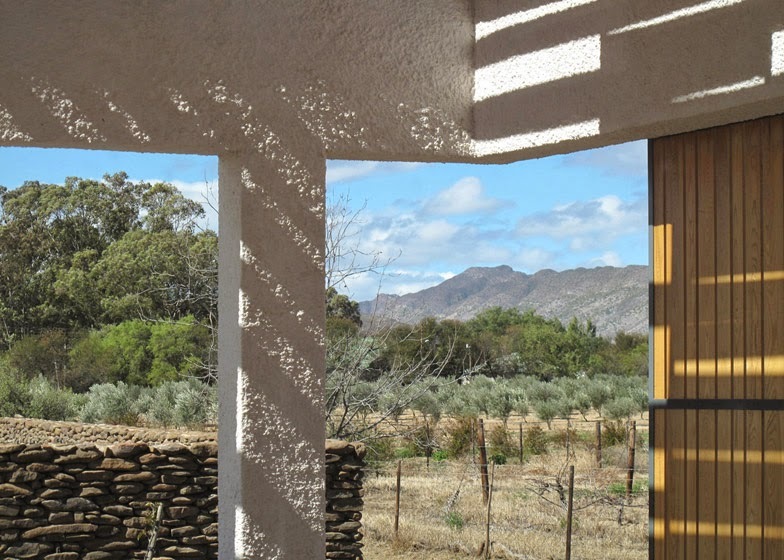 The house is designed to work according to passive solar principles. 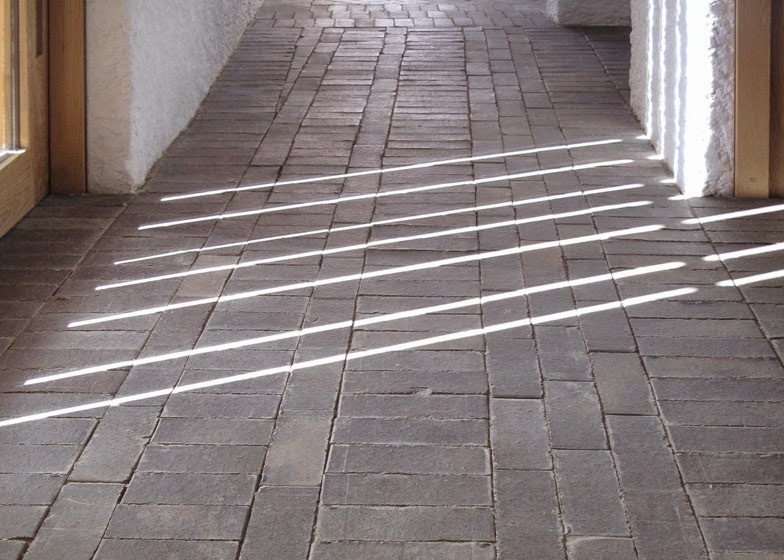 In the light and heat of summer the house can be shuttered, while in winter the large openings act as suncatchers.